* Going to try something a little different - This is one of my favourite stories from my last book - Murder, Mutiny & Mayhem - The Blackest Hearted Villains From Irish History (O'Brien Press). It's the story of the Pirate Luke Ryan - a Dubliner who commanded an entire Black Fleet of Irish Privateers, heavily armed, expertly crewed pirate ships, that sailed under the secret orders of Benjamin Franklin, and helped win the War of Independence for the United States. It's a long story - so I'll try and tell it over 3 nights in three parts - hope you enjoy. Luke Ryan may not have been the most famous pirate who ever commanded a ship, or even the most successful, but in a profession that demanded quick wits, reckless bravery and the ability to talk your way out of a tight corner, the charismatic Dublin man could certainly have claimed to be among the craftiest. The mid to late eighteenth century was extraordinary time in Irish, European and American history, when Irish sailors and captains put to sea in heavily-armed, privately-owned and licensed pirate ships, fighting for and against the Yankees, British and French. Some made fortunes; some were strung up or lost in battle or shipwreck. Only one would be remembered as a hero of the American Revolution, even if it was never exactly clear just who Luke Ryan was fighting for; Ryan’s fleet, which included the infamous Black Prince, was part of a private navy (that included three Irish captains and hundreds of Irish sailors) commissioned by Benjamin Franklin to take the war to the British in their home waters. At a time when the fledgling United States was fighting for its very existence, facing the might of the British Empire, Luke Ryan and many Irishmen like him fought the Royal Navy and targeted vital mercantile interests in Britain's home waters, offering hope to the hard-pressed Americans and giving King George, his ministers and admirals pause for thought. Dublin, and especially the smaller ports around it, were a hotbed of smuggling and semi-legal piracy in the period of the American Revolutionary War, offering plenty of chances for men who were willing to take a risk; Dubliner Luke Ryan was one of hundreds of young Irishmen who seized the chance to make their fortunes in uncertain times as Britain, France and the United States went to war. By the time he reached his mid-twenties, Ryan was the most notorious and most successful privateer captain operating in British waters, even if the British, whom he fought, and the Americans, whom he served, had little idea of his true identity. Like all the best pirates, Ryan was devious, avoiding the Royal Navy's men-o-war were possible, hiding his true role as captain behind stooges and changing flags, nationalities and his very identity as the situation demanded. However, he would use any tactics he deemed necessary, from fire and murder to jailbreaks, kidnapping, ransom and extortion, to add to his fortune. All ships were fair game to the spectacularly successful young captain born in Rush, Co Dublin. And when he was finally captured at sea as a self-declared French officer, serving both King Louis XVI and the United States of America, he claimed French and then American citizenship before being tried an condemned to death at the Old Bailey as an Irish subject of the British Crown. Benjamin Franklin’s links to pirates and privateers began in December, 1776, when, newly arrived in France as ambassador for the fledgeling United States of America, he was facing what appeared to be an intractable problem. The original thirteen states, former colonies of the British, had only just declared their independence from the mother country. North America still had significant numbers of people who were loyal to the British crown but from New Hampshire down the East coast to Georgia, the newly declared states had struck for seemed to be an impossible goal, independence from the vastly powerful British Empire. The Americans would find willing allies in Britain's great rival France. But in 1776 ,they were in a desperate, almost hopeless position as they took on what was then the globe’s pre-eminent military and economic power. And while the Revolutionary War raged in Continental America, across the Atlantic in England, hundreds of American citizens, mostly seamen seized in British ports on on the high seas, were being held in prisons with no recourse to winning their freedom. Franklin was deeply concerned with the plight of his fellow Americans and arranged for money and supplies to be provided for the men held in two prisons, The Old Mill Prison in Plymouth and Forton Prison in Portsmouth. Some prisoners had been able to escape. And Franklin, a brilliant spy-master as well as scientist and statesman, was able to set up networks that would smuggle these Americans to the friendlier shores of France. Under the normal rules of war at the time, belligerent states could arrange for the swapping of prisoners and there were regular exchanges of captured soldiers and sailors between France and Britain. However, as the American revolutionaries were seen as merely rebellious British subjects, they were not entitled to exchange. If captured by the British, either on land or at sea, they would be held in one of His Majesty's Prisons, treated as rebels and denied any chance of freedom, exchange or parole. To make matters more galling for Franklin and the Americans, any British prisoners captured by American forces and taken to French territory would have to be returned as part of the regular system of exchange between the British and French. 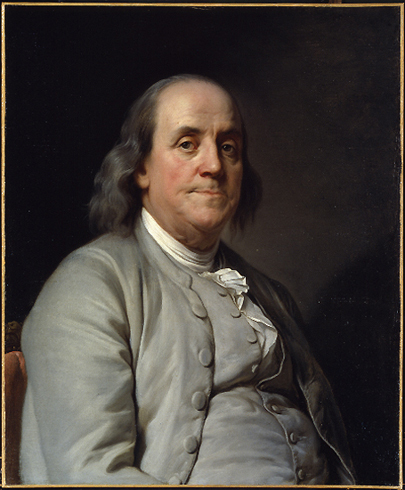 Franklin solved his legal problem by signing the Treaty of Alliance with France on February 6, 1778. This treaty made France and the United States allies in the fight against the British and allowed the Americans, now involved in raiding British sea commerce, to hold British prisoners in French ports. Franklin had won recognition for the United States from the French and effectively forced the British to agree to exchange combatants. All he needed now were some human bargaining chips. And that was where men like Luke Ryan would come in. Luke Ryan was born outside the Co Dublin village of Rush on 14 February 1750, the only son of Michael and Mary Ryan of the parish of Kenure. As a young man, he had worked on the fishing and trading boats that sailed out of Rush and also worked for the local estate as a stable-hand from the age of ten. At twelve he started work in a local boatyard and was then apprenticed to Edward King of Ringsend as a ship’s carpenter in 1766. Luke appears to have been a restless youth and after giving up his apprenticeship, he found his way to Dunkirk in France to join Dillon’s Regiment, one of the regiments making up the Irish Brigade of ‘Wild Geese’ (Irish soldiers who left for the continent after the Williamite wars of the previous century) fighting in the service of the French crown. The Wild Geese had been scattered across the continent and the tradition of Irish men fighting under foreign flags, for the French, Spanish, Austrians, and various Italian states, would continue right up to the twentieth-century. This tradition would also see Irishmen fight and die on both sides of the American Civil War, on a number of occasions coming into direct conflict on the battlefield, such as during the terrible slaughter at Gettysburg and at Fredericksburg in December, 1862. Ryan might have remained as one of the thousands of Irishmen fighting on the continent, if it was not for the outbreak of the American War of Independence. When war started in 1775, the Americans could just about prevent their citizen militias from being overrun and decimated by British forces in the thirteen former colonies. On land, the nascent Continental Army was fighting for its survival against significantly more powerful and experienced British forces. Conventional war at sea against the vast power of the Royal Navy was inconceivable. But hit-and-run tactics were just about workable for small, fast, heavily-armed and expertly-sailed US ships. And if these ‘experts’ couldn’t be found within the ranks of the US navy proper, then the Americans could use the ancient practice of outfitting and licensing private warships or ‘privateers’, simply by issuing them with ‘letters of marque’ – government licenses allowing the holder to attack vessels owned by the enemy and the bring them before the admiralty. Privateers could also claim the right to act against port installations or even civilian property and goods on enemy land, under the cry of ‘seize burn or destroy’. It was often desperate, cut-throat work, involving long sea chases, brief but bloody engagements, lightning raids, kidnapping-for-ransom and trickery (privateers would carry many flags and use any and all deception to lure in unsuspecting victims). 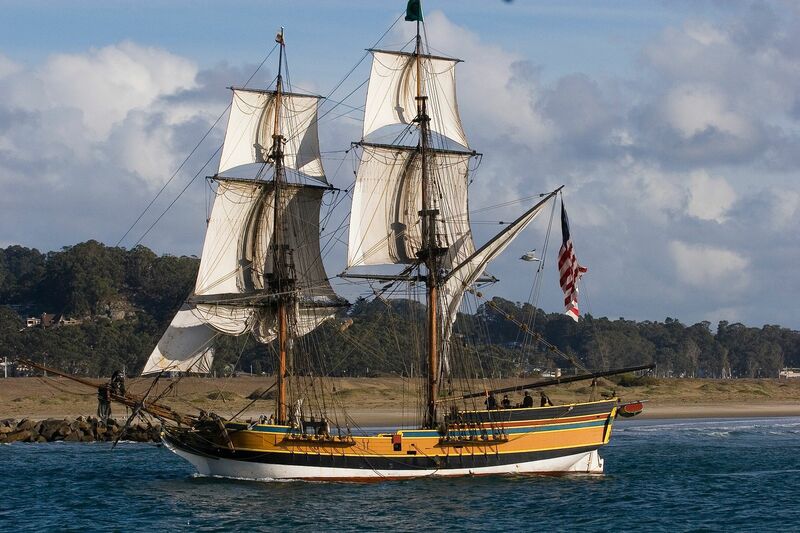 Though ‘privateers’ with a Letter of Marque worked for profit, it could be considered a patriotic occupation and was certainly considered to be several steps above out-and-out piracy. However, they occupied a hazy legal-ground, half-way between pirates and ships of national navies, and some, like Ryan, were not against acting as smugglers and out-and-out pirates. By the second year of the War of Independence, the American Continental Navy was already beginning to cause havoc in the channel and the Irish Sea. Commissioned officers such as the legendary Scottish-born captain John Paul Jones (in the Ranger) and the Maryland merchant captain turned US navy commander Lambert Wickes launched daring raids along the coast of Scotland, England Wales and Ireland. Early in 1777, the Dublin newspapers were carrying alarming reports of three US privateers, the Lexington, Reprisal and Dolphin, sweeping down the Irish Sea and seizing thirteen British vessels, which were either burnt or taken under sail to France. At the same time, there were reports that smugglers in Rush, North County Dublin (home port of Luke Ryan) had attacked and driven off Revenue Men and militia sent to stop their illegal trade. The newspapers carried warning of the great threat to vital Irish Sea merchant trade (including the highly valuable Linen Ships that sailed from Ireland) with reports that crafty Irish smugglers were hoisting American colours, in order to ‘avoid the interruption the revenue cutters might give to their trade’. Amidst the growing lawlessness, public outcry and dire warnings that Yankee pirates were coming to cut the throats of Dublin merchants while they slept in their beds, the British government came under increasing pressure to act. The Royal Navy, already struggling to supply the forces fighting in the US, began to recruit privateers in Ireland and Britain to meet fire with fire. At the start of 1778, a smuggler turned privateer, captained by John Harding of Loughshinny in Fingal, North County Dublin, was ready to sail from Dublin with a crew of around 150 local men. Their ship was called, fittingly enough, the Dublin. The Fingallian sailors were renowned as some of the toughest and most skilled sailors in Europe, seasoned by long and arduous fishing voyages and ready to turn smuggler and outfox the Revenue men whenever the chance arose. Fast and heavily-armed, the ship had a letter of marque from the English and sailed as an Irish privateer against the Yankees. Luke Ryan, who had become a partner in a lucrative smuggling operation with a cousin of his called Edward Wilde out of Loughshinny, was soon getting in on the act, converting their smuggling vessel, the Friendship to go to war. In February 1778, the Friendship finished outfitting at Sir John Rogerson’s Quay in Dublin and put to sea as a privateer. She was a fast cutter, armed with six eighteen-pounder guns, able to chase down and then close with her prey, which, as she was sailing under a letter of marque from the English crown, was supposed to be American shipping. However, Ryan, the former French soldier who had connections to the Privateer’s port of Dunkirk in France, must have decided that as Yankee ships were hard to come by (and devilishly hard to take) there were far richer pickings in the British merchantmen who crowded into the channel, bringing treasure and trade from all over the world to the ports of southern England. Ryan may have set out with a British letter of marque but in early 1779, the Friendship had a secret change of ownership, with Ryan and his partner Wilde (who sometimes went by the nom-de-guerre ‘McCatter’) entering the service of the Dunkirk based businessman Jean Francois Torris. The Irish owned ship had effectively changed sides and was now acting for French backers against the British, with the American revolutionaries set to benefit from their activities. * Thanks for reading Pt 1 - part 2 Here. Thank you so much for writing these articles, I grew up in Rush and never heard of Captain Luke Ryan. As I now live in the US it's interesting knowing my hometown has a connection to the American Revolution.